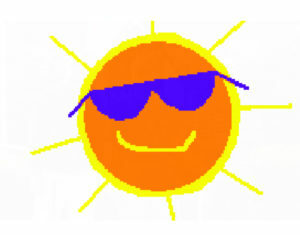 Join our wonderful community businesses in donating to a cause that benefits all of us! These businesses supported Melrose Grad Night 2019 with a donation of $250 or more. Check out who supported us in 2018! There are amazing, thoughtful, and engaged community members in Melrose. And then there is the Melrose Bank. Look around Melrose and you’ll see their generosity everywhere. We are honored that they have chosen once again to sponsor the always-popular CashCube. Each year, the volunteers have as much fun as the participants, watching those crazy kids try to grab as much cash as they can! 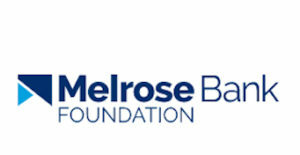 Thank you Melrose Bank Foundation, for being you, in all of your awesomeness. The Aveni Family has sponsored us for a $1,000 grant from Cummings Foundation each year since 2014, when their son Aaron attended our very first event, Grad Night 2014. We are extremely grateful to Melissa, Mike, and Cummings for their loyal support of this important community-wide event. With more than 10 million square feet of prime commercial space ranging from 150 square feet to 300,000 square feet, Cummings can accommodate your business whether you need an executive office, healthcare facility, laboratory, retail storefront, medical office, or warehouse. Kim and Charles Maggio, of Melrose Family Optometry at 490 Main Street in Melrose are proud to sponsor our community event. With two children at MHS, they value the hard work of the Grad Night crew and recognize that a substance-free party is not just the right thing for their own kids, but for our entire community. As 20 year residents of the Melrose community, chances are great that if they haven’t looked into your eyes, they’ve gazed at one of your neighbors or friends. Stop by or call 781-665-0897. 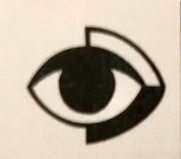 Their full service optical store features eye exams, glasses, and contact lenses. Tell them we sent you! 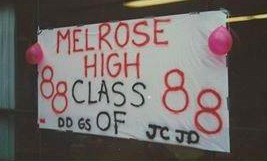 When the Class of ’88 Reunion Committee got together to discuss their event, they decided to charge a little more and donate all the proceeds to Melrose Grad Night. We didn’t ask, they offered. We are forever grateful to every attendee who chipped in to throw the class of 2019 the best party on the block. This is what we love best about Melrose: you get it, you value it, and you back it up with generous donations. You’re super great, class of ’88! The Rotary is a not-for-profit corporation supported solely by voluntary contributions from Rotarians and friends of the Foundation who share its vision of a better world. We are blessed to be the beneficiary of the Melrose Rotary‘s generosity and to share in their vision of MHS graduates as champions of a better world. Thank you, Melrose Rotarians! The law firm of Bell & Izzi, LLC, continues to be a strong supporter of Melrose Grad Night. 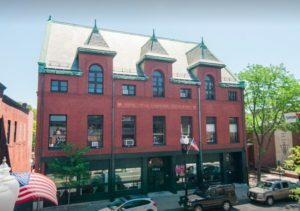 They are always one of the first businesses to donate and we cannot thank partners Robert L. Bell, Jr. and Louis P. Izzi enough! Please visit this small, community based, general practice firm located in Melrose. They offer downtown expertise at suburban hourly rates. They employ a holistic approach to the law and are knowledgeable and experienced enough to handle most matters within their practice areas. 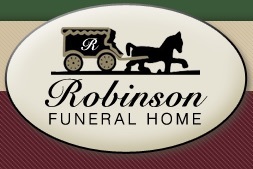 Robinson Funeral Home was established in 1941 by Norman P. Robinson. At that time, there were many funeral homes in Melrose and opening another funeral home took great courage. 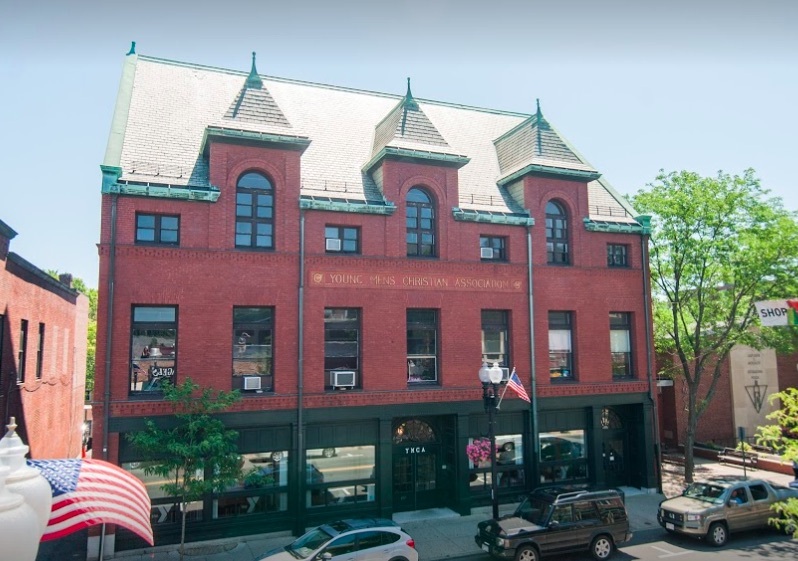 But Norman was committed to staying in Melrose, and built a beautiful and spacious funeral home that would serve the people of Melrose for generations. Lucky for Melrose Grad Night, Robinson also feels an obligation to support the youth of our community by keeping them safe on their graduation night. We appreciate Robinsons’ yearly support to our One Big Night! They say the third time is the charm, and we’ve got to agree. ECOlogic has generously donated to Melrose Grad Night for the third year in a row. And we cannot thank them enough. ECOlogic currently maintains over 38 million square feet of carpet in the New England market and manage a number of national portfolios. 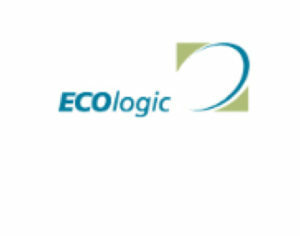 ECOlogic uses the latest technology and the most advanced methods to maintain your textiles while delivering an environmentally superior solution to our customers. Here’s a secret: There is a day that rivals Grad Night in excitement and anticipation. It’s that special time when our kids get decked out in all their finery, scrub their faces nice and clean, and parade down the red carpet to the delight of their biggest fans. 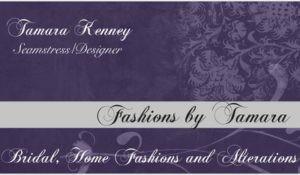 With prom right around the corner, it is time to get busy with dress alterations and there is no more trusted by MHS prom-goers than Fashions by Tamara! Make your appointment now to be sure your dress is perfect when the big day arrives. Tamara will have you looking lovely at a price that will please. We love the YMCA. For so many MHS students, the big brick building on the corner of Main and E. Foster has defined their childhood. From swim lessons, to open gym, to pick up basketball and the pumping of the iron, our students have grown from children to young adults while enjoying fitness in our local finest. The Melrose YMCA is invested in our community and that includes their yearly donation to Grad Night. We thank you! 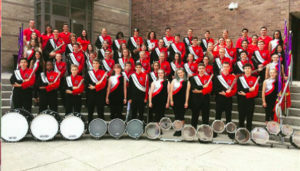 The Bandaiders, that loyal booster club for the beloved MHS band, has gotten into the fun this year with their generous donation to Melrose Grad Night! We are honored to receive a check from the best band this side of, well, anywhere! 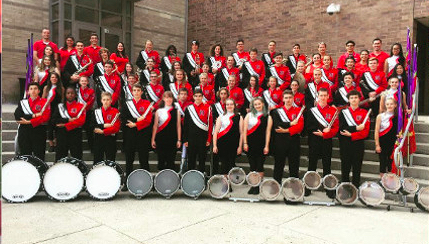 We promised to show those graduating band members an awesome time at Grad Night. Keep playing, guys! When we count our friends, we count Friends of Melrose Drama twice. Not only are they responsible for sponsoring so many wonderful theatrical events springing forth from MHS and MVMMS, but they are fun! We know that because many of our Grad Night Decor team members get their inspiration from the sets they’ve seen in MHS plays. And those graduating seniors who are integral to the successful theater program are gonna love what we have in store for you on May 31st! The Miller/Tracy Children’s Foundation has provided educational and recreational scholarships; holiday meals and gifts; medical support and much more to children in need. This foundation was formed in memory of Elizabeth “Lizzy” Marie Tracy, her aunt, Kimberly Balboni-Miller and her uncle, Carl “Chip” Miller, who died tragically in a motor vehicle accident. We thank Miller/Tracy for honoring us with a grant.